I’m a little behind on blog posting because I’m too busy actually doing stuff. C’est la vie! This last weekend I took another awesome class at the Whiteaker Printmaker’s Studio in Eugene. It was taught by Bryan Putnam, an amazing printmaker who uses a variety of advanced techniques in his print work. 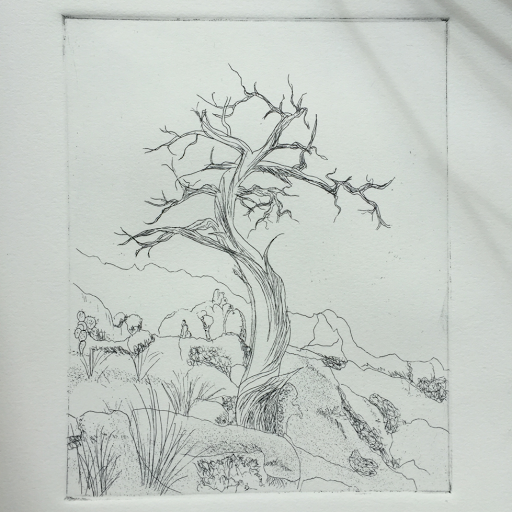 This class focused on intaglio, covering four major topics in two days. 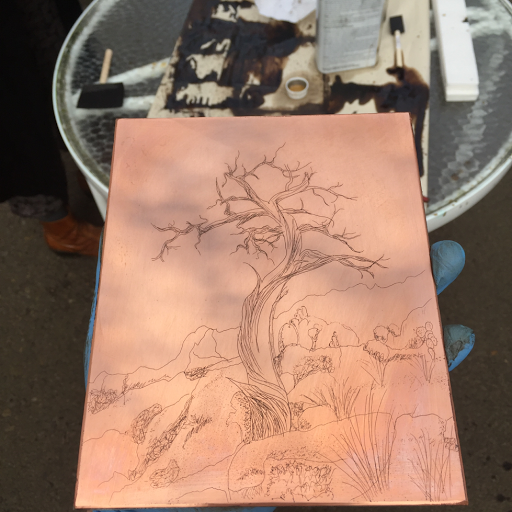 On the first day we learned about etching, starting at the very beginning with “hard ground”, a combination of alsphaltum, mineral spirits, and some other stuff. It smells so strong that we can only use it outside. The image that I chose might look familiar. I’m calling it my “workshop subject”, a photograph of a dead juniper from Teutonia Ridge on the edge of the Mojave in Southern California. The plate is taped down so that I can trace the outlines for my needle sketch. Then the plate went into an acid batch to etch in the lines that I had scratched through the ground. After cleaning off the ground, it’s a “simple” matter of rubbing ink into the etching and wiping it off of the plate without wiping it out of the etched lines. 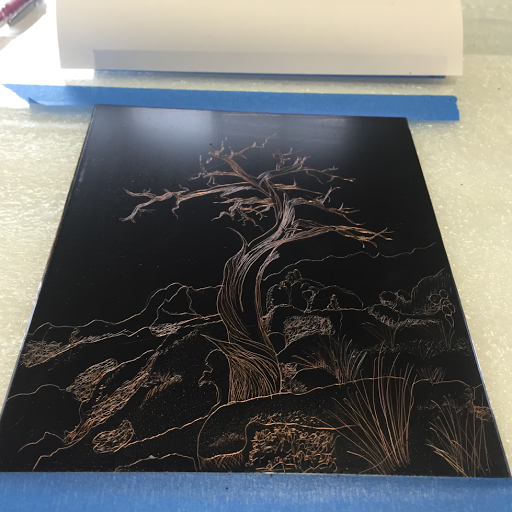 The paper is moistened and run through the press to squeeze it into the lines and pull out the trapped ink to create the finished etching. It’s not too shabby for my first print. Yeah, it looks like a first-year art student outlined pencil sketch, but we really did only have an hour or so to do the sketching in between learning all of the other process steps and actually doing it. On the second day we covered aquatint: rosin and spray paint ground, stage etching (painting certain areas with ground to stop the etching in between repeated acid soaks), spit bite (painting with acid), sugar lift (painting with sugar to lift the ground and allow access to the acid bath in specific areas). It was so much to learn and at such a rapid pace that I didn’t take any photos. In the end, I learned one big thing this weekend. I am a relief printer. The class was amazing and Bryan was a fantastic teacher, but the techniques that we learned are just not a good fit for my artistic style or my lifestyle. Remember that whatever I do I want to do in a yurt on a hillside with no electricity or water. I don’t want to waste ink by wiping it off on tarlatans. I don’t want to get my hands as dirty as plate wiping requires. I want to print way faster than intaglio allows. 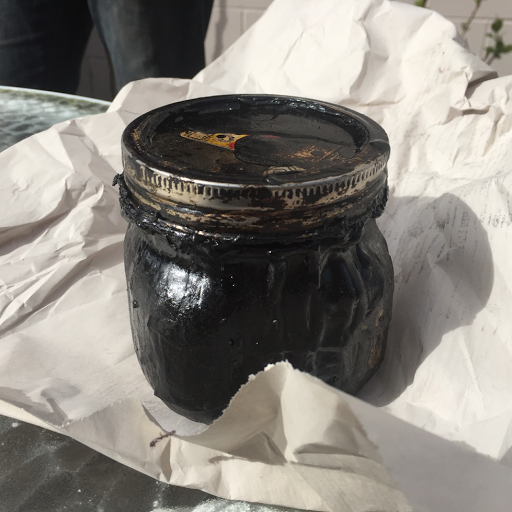 I don’t want a vat of acid in my studio. I don’t want to haul in the amount of water that’s required. I don’t want to wash acid, even in small quantities, onto my land. 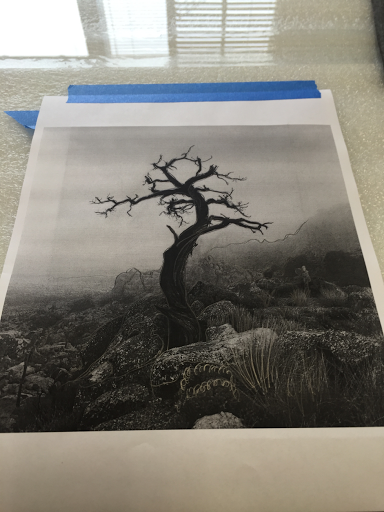 I think of it like this… As I explore the techniques of printmaking, I’ve got a huge tree of possible techniques and styles to choose from. If I’m going to get anywhere, I need to make some decisions on how to focus my attention. This weekend pruned a major trunk off of the tree in one fell swoop! I will not be even slightly tempted to incorporate the wide world of intaglio into my process at this point. Trying intaglio really has directed my focus very clearly on woodblock printing. The ability to focus my attention in this way is very well worth the time and money that I invested on this class. And, as you’ll read tomorrow, I learned volumes about woodblock printing in a private lesson on the Monday after the class.